Jews professing another religion but practising Jewish rites in secret in their own homes. There was some tendency toward this even in early days, as is shown by the attempts of certain Jews to avoid being taken for such (see Josephus, "Ant." xii. 5, § 1; compare I Macc. i. 15); but the first wide-spread adoption of the practise appears to have been after the Almohade persecutions in Spain in 1146. The father of Maimonides is said to have nominally embraced Islamism at this time, and he was doubtless followed by others. Later, in Spain, after the persecutions of 1391, a whole body of Spanish Jews formally adopted Christianity, but observed Jewish rites in their homes. These were known as Maranos or, in theBalearic Islands, Chuetas. Officially they were known as "New Christians," and there was considerable legislation directed against them in both Spain and Portugal and in their colonies, the chief activity of the Inquisition being directed against them. It is stated that Maranos are to be found even at the present day, especially at Covilhão in Portugal. 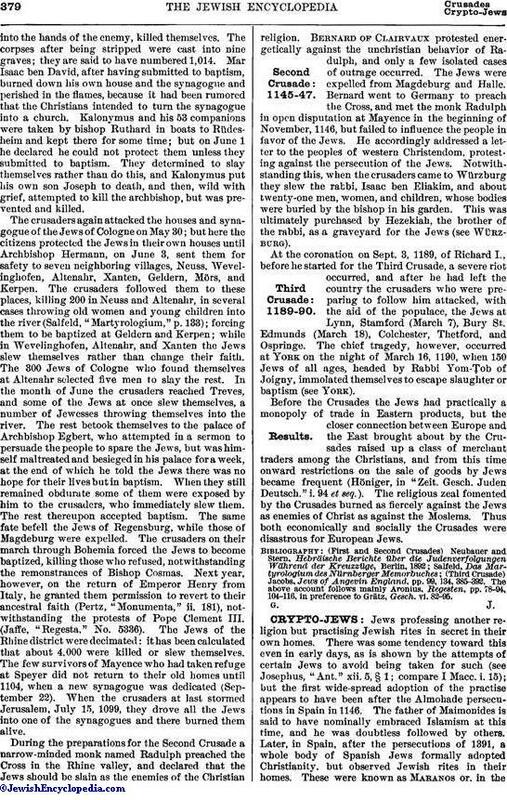 It also appears that there are, or have been, several classes of Crypto-Jews in Moslem lands; thus the ancestors of the Daggatuns probably kept up their Jewish practises a long time after their nominal adoption of Mohammedanism. 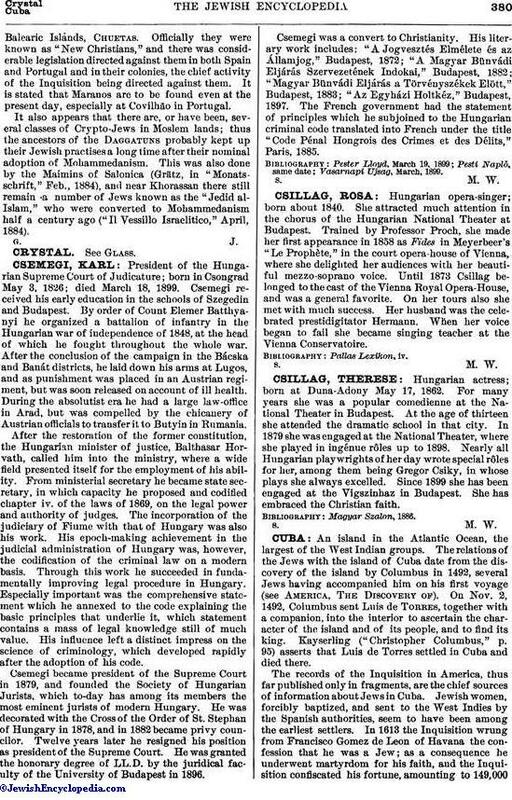 This was also done by the Maimins of Salonica (Grätz, in "Monatsschrift," Feb., 1884), and near Khorassan there still remain a number of Jews known as the "Jedid al-Islam," who were converted to Mohammedanism half a century ago ("Il Vessillo Israelitico," April, 1884).